Dimples Karaoke Bar in beautiful, downtown Burbank was the site of the Los Angeles Days' Charity Event benefiting Soldier's Angels. In attendance from Days of Our Lives were Galen Gering, Matt Ashford, Judi Evans, Eric Martsolf, Patrick Muldoon, and Shawn Christian. The tone was set for the evening by the lovely Diane & Dawn who were first up for our group. I don't remember the song they sang but it was hilarious! I've gone to this event in Los Angeles the last four years and this year was the year of mobile device. Everybody was busy live-tweeting or checking their phones. I checked my phone and found I had a call from our very own Kasi. I called her back and sent a rather serious singing outsider duet to her voice mail. If I recall correctly, they were singing Tonight from West Side Story. 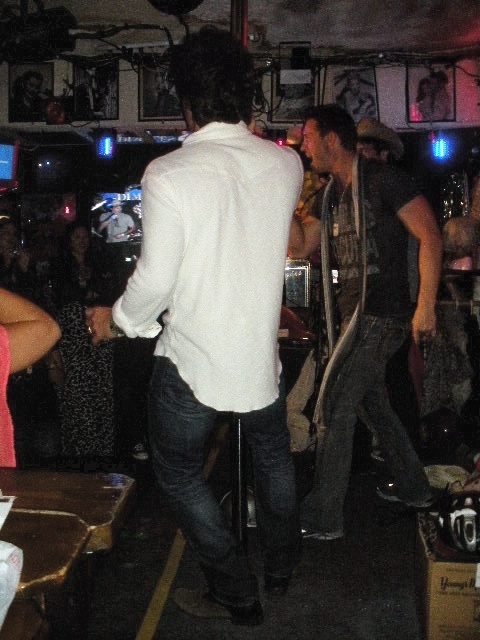 The highlight of the event, besides my singing Superfreak with Dawn and the Pussycats, was Shawn pole dancing. The always lovely Renee, aka @islandma60, and I were hoping to sing with Shawn or perhaps sing to him but it was not to be. 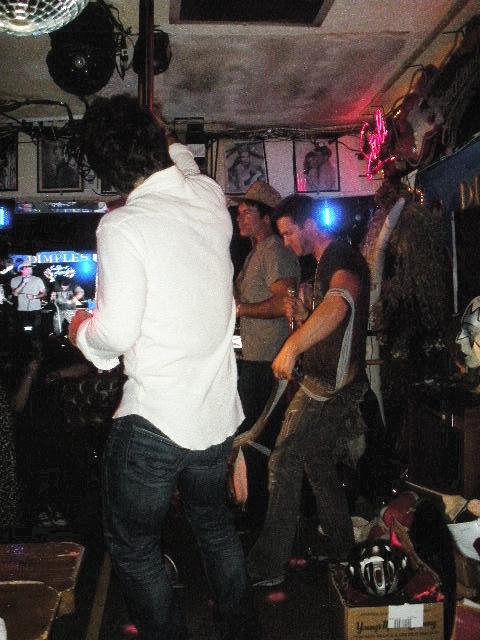 Shawn's latent talent came to light when his co-stars Eric and Patrick were on stage singing.